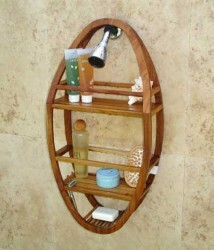 I have always found the shower caddy to be a useful storage utility in the bathing area. Shower caddies make bathroom supplies more accessible. It’s so much easier to get and return the shampoo without having to go out of your way. I also like to bring a portable shower caddy with me when I travel in case the bathing area of the place where I will be staying does not have an appropriate area for my bathroom supplies. The next time your shower caddy seems to have a bit of mold and mildew or if it may get a little cluttered, immediately take care of it before the mold and mildew gets the most of your caddy. Remember that mold and mildew can stain the surface permanently so keep you shower caddy mold and mildew free.